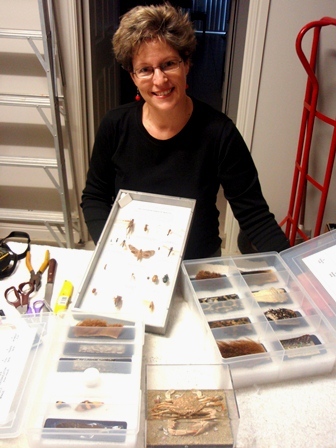 Dr Christine Lambkin is Curator of Entomology at Queensland Museum. 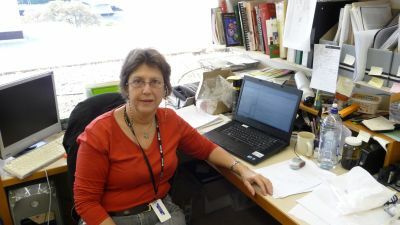 She is responsible for the museum’s collections of Diptera (flies), Coleoptera (beetles), Orthoptera (grasshoppers), Hemiptera (bugs), Phasmatodea (stick insects), and a number of smaller insect orders. Chris Lambkin’s main research interest is the Order Diptera (flies), especially bee flies (Bombyliidae) and stiletto flies (Therevidae). 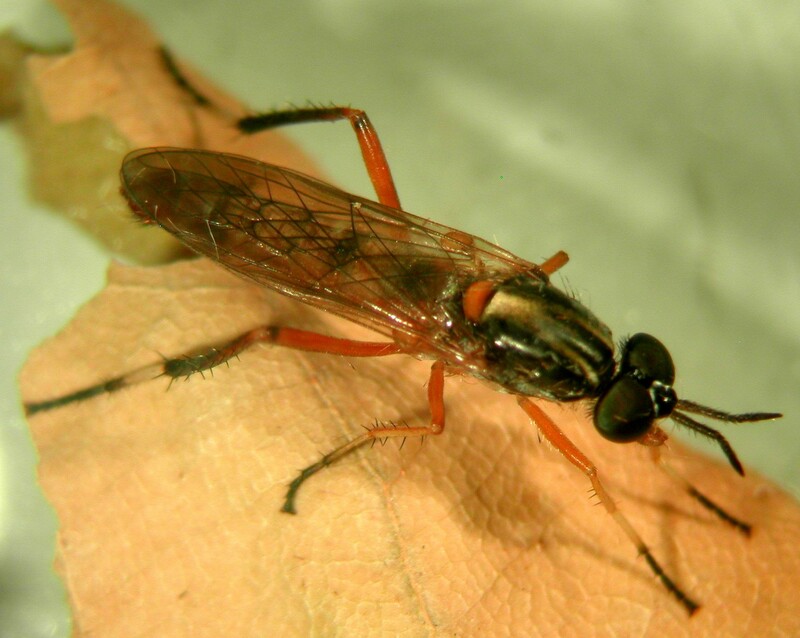 There are about 100 families of flies in Australia and Australia boasts the best fauna of the Therevidae in the world. 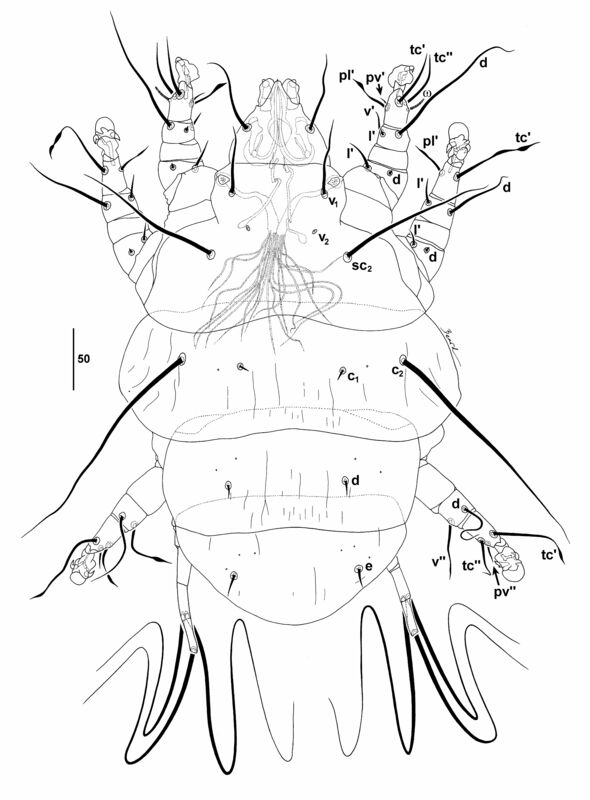 However, a large percentage of these flies are still not described. Chris is a taxonomist. 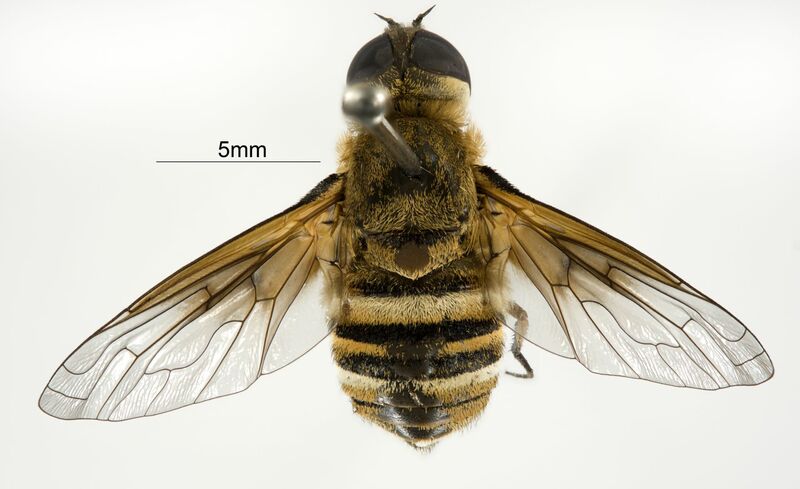 That means, she identifies and describes new species, in this case, new species of bee flies and stiletto flies. 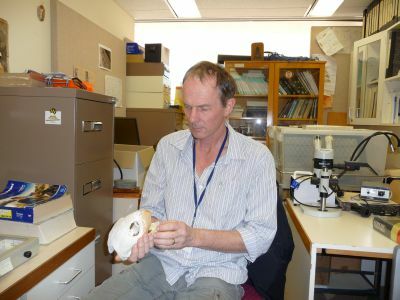 To identify a new species is a time-consuming process because world-wide collections have to be investigated to make sure that the species has not been described before and that it is, indeed a new species, and not just a variant of an existing species. A taxonomist needs to determine the variation in the species; how much is clinal variation, and how much is outside the species limits. 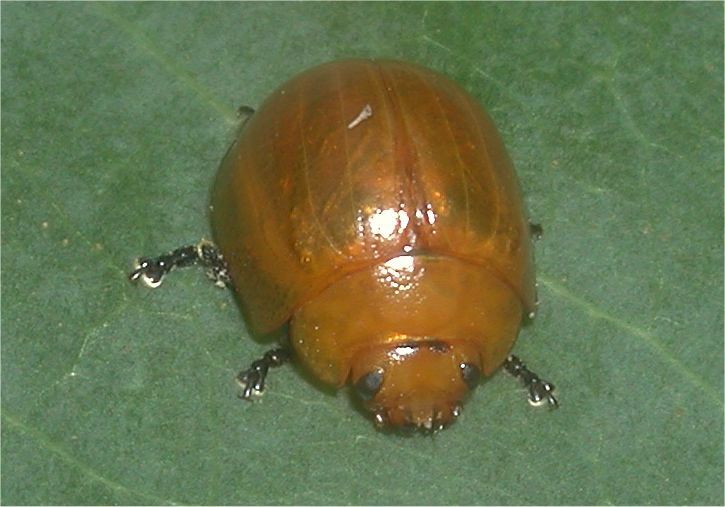 If the specimen is like no other species within the genus, then it is described and given a new species name. 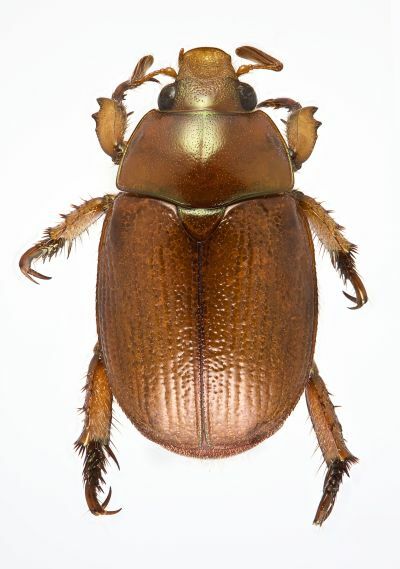 World-wide research is needed because when insect specimens were first collected in Australia, some of them were taken back to England and other places around the world and described there. 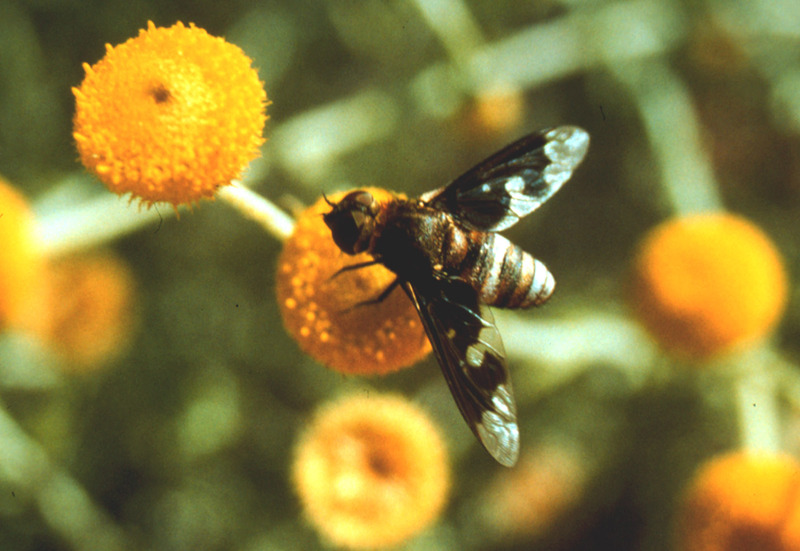 Many Australian bee flies were described by the Frenchman Macquart and stiletto flies by Kröber, a German priest. In determining new species, Chris needs to examine: the organism’s distribution; all species within the genus that have ever been seen; and check to see if the morphological differences are consistent across the species. i.e. 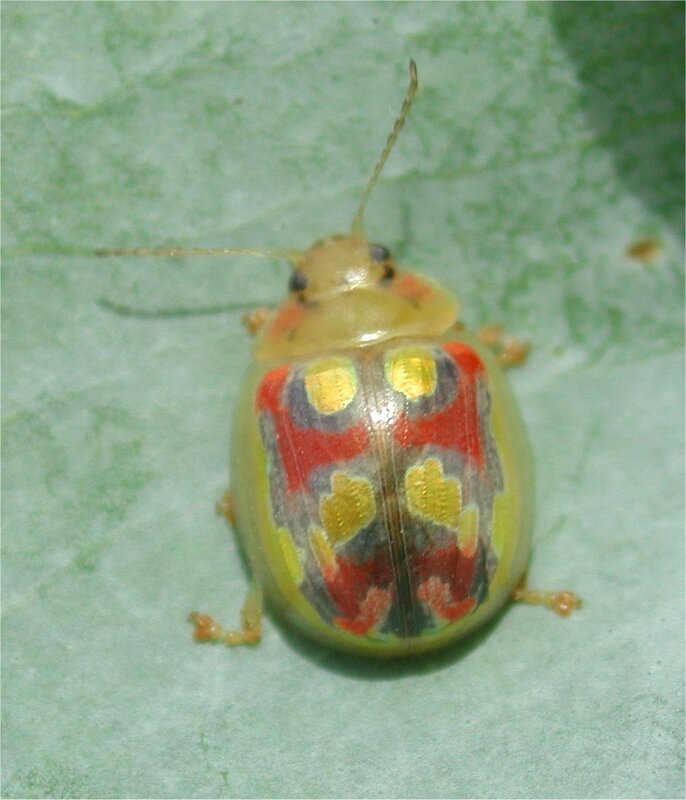 the differences have to be consistent within the species and distinctive between species. Sometimes DNA studies are done to determine genetic similarity when there is difficulty with some species or with the relationships between species. Fresh material on which to do the DNA studies is needed in these cases. Chris is also involved in systematics. She estimates relationships between species. She codes morphological characters and molecular data into computer programs to work out these relationships. Large matrices of data are produced and Chris is very adept at these computer analyses. So a taxonomist is a very valuable guide for the ecologist, molecular biologist, pest manager, and other biologists. Taxonomy provides a way of describing our biodiversity, so that we all know what we are talking about, and that we are talking about the same things. Taxonomy is like all science, inexact by definition, and based on testable hypotheses. 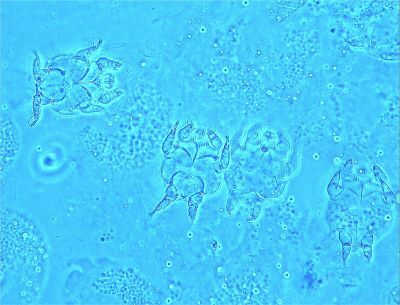 More information, from whatever source, may change both the name and the classification of an organism. Chris is continuing to identify new species of flies as part of FLYTREE – the Assembling the Tree of Life project for the Order Diptera. To find out more about the work that Chris does, visit her Biography page. You can find out more about the wonderful adaptations of the Bombyliidae by viewing the video on Bee Flies. 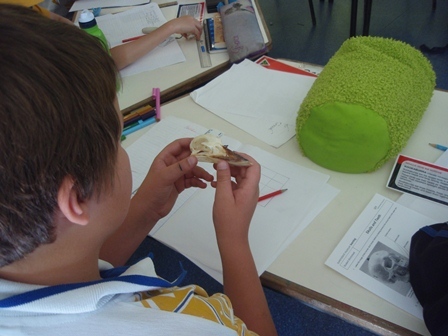 Teachers can download the Animal Adaptation Worksheet which has a Student Worksheet linked to the Australian Science Curriculum. Behind the Scenes – Cheap Dust Collector or Expensive Treasure? Cheap Dust Collector or Expensive Treasure? If you have watched Antiques Roadshow you may have seen someone who picked up a little trinket for $2.00 at a second-hand store only to find out it was worth 100 times that. How do they do it? Modern manufacturing has allowed many ceramic pieces to be mass-produced for the souvenir market throughout the world. Many of these souvenirs are based on pieces from exclusive porcelain workshops such as Royal Doulton or in this case Royal Worcester. The mass production of porcelain souvenirs has allowed many valuable pieces to be mistaken as a cheap souvenir, when in fact they are valued at several hundred dollars each. The example I have pictured here is a piece from Worchester, crafted by Ronald van Ruyckevelt who worked at Royal Worcester from 1953 to 1974. It is part of the Ben Ronalds Collection, which is a story in itself. 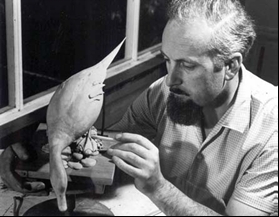 Benjamin Ronalds was glass maker and migrated from England when he was 19. He had various jobs in South East Queensland before returning to glass making at Oxlades. In 1924 Ben started his own glass company, the Decorative Glass Company in West End, which is still in operation from the same location today. Ben Stared collecting ceramics before World War II. Although it was not until the post war success of his company that Ben carried out his desire to specialise in collecting Royal Worcester porcelain. In 1966 an Australian Representative of Royal Worcester inspected the collection and was amazed at his world-standing holdings of their ceramics and glass. The complete collection of about 800 items also contains comparative pieces from other ceramics manufactures. The collection was gifted to Queensland Museum by Mrs Alvia Ronalds after the passing of Ben in 1970. Mrs Alvia had to leave her house, where the collection was maintained, due to ill-health, so the collection was moved to the Museum in 1976 where it is now maintained as the “Ben Ronalds Collection” in a fitting tribute to a man whose love of fine things had led to it’s assembly. 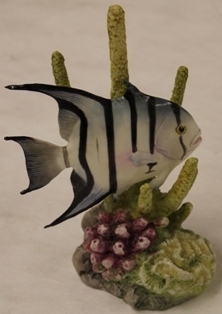 This post has been put together with the assistance of Karen Kindt, Assistant Collections Manager, Queensland Museum. For more ideas and resources to teach science, technology and history in the classroom visit QM Loans. Saturday 13th August is the start of National Science Week. So for this week’s post I thought I would share with you some interesting science activities occurring at two central Brisbane schools this term. 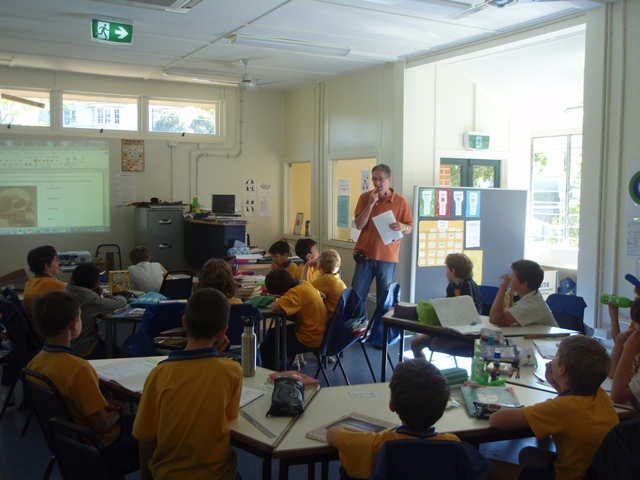 Over the last few weeks I have visited Year 5 at Milton State School and Year 1 at Newmarket SS. I have enjoyed assisting with classroom science teaching. Gil Sauvage, a science teacher specialist at Milton, and Margherita Gradwell, a Year 1 teacher at Newmarket, have offered to trial some new science Loans kits that have been produced recently. 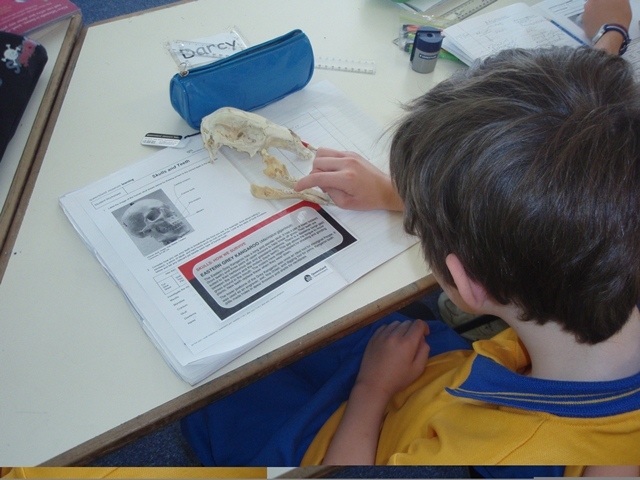 These kits are linked to the Australian Science Curriculum. 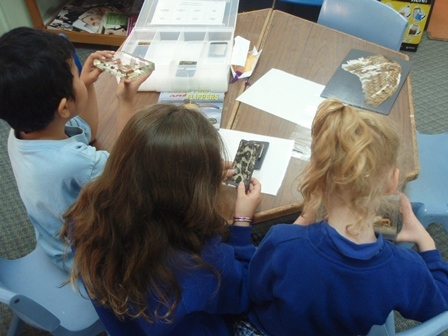 The External Features kit targets the Biological sciences strand in Year 1 and 3 and covers topics such as animal coverings, diversity of life, and sorting organisms. The Micro Marvels kit is designed for Years 5 – 7 and covers the themes of adaptations, effect of the environment on survival, and classification. The Year 1s had a great time touching the soft koala fur, the spiky Echidna quills, the rough crocodile skin, and the wiry Wombat fur together with other animal coverings. There are many QM Loans kits and online resources that complement the themes addressed in these two kits. 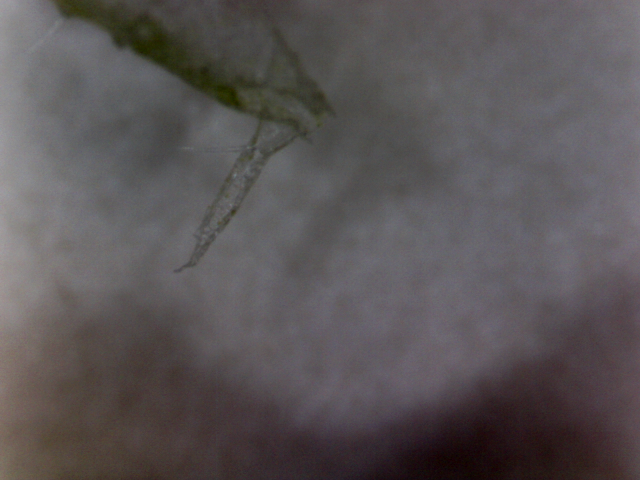 Students spent some time discussing plant adaptations and an image below shows a hair on the surface of a Geranium leaf. 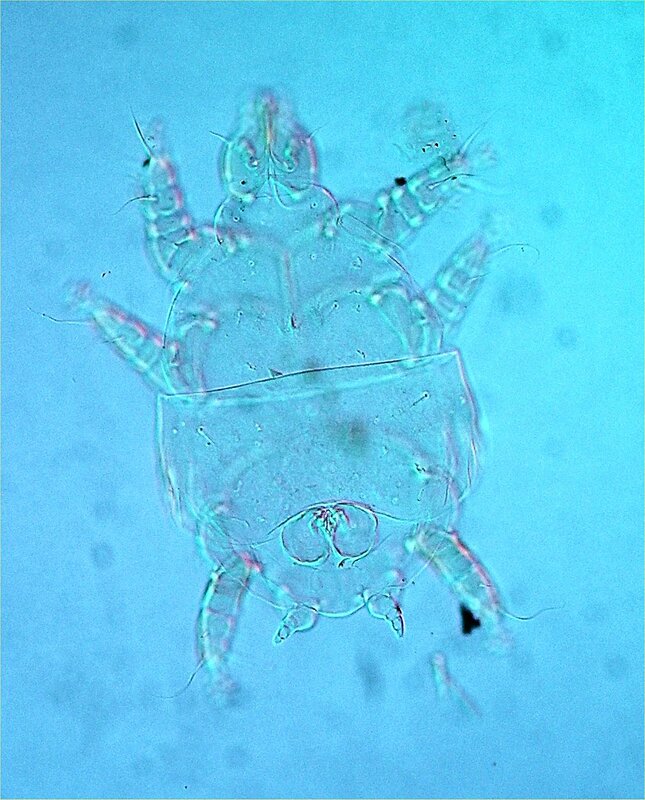 This was taken with the digital microscope that is included in the Micro Marvels kit. The External Features and the Micro Marvels kits will be available for borrowing next year from QM Loans. The teacher booklets that support these two kits can be downloaded here. Other kits that can be borrowed from QM Loans can be found on the Catalogue page of the QM Loans section of our website. To learn more about resources developed to align with the Australian Science Curriculum, download the PDF QM Resources and the Australian Science Curriculum. “What’s that?” It’s the most common question I get asked by my three-year-old at home. I don’t want to dampen his curiosity or interest in exploring the world around him, but sometimes I just don’t have the answers. However, I have found the solution! During recent background work into developing a teaching unit, I referred to a Queensland Museum publication “Wildlife of Greater Brisbane”. This book had all the answers that a curious child (and adult) wants to know, from birds to bats, frogs to fishes, and grasshoppers to butterflies, with all the creepy crawlies in between. It’s small enough to take in a backpack while walking, but large enough to answer almost all “What’s that?” questions. 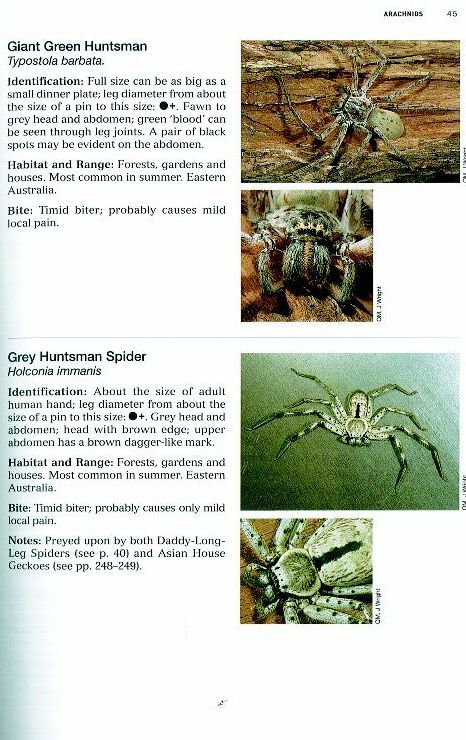 The book is full of colour photos for easy animal identification and also gives a small physical and habitat description. It would make a great addition to any high school biologist’s library and has scientific names provided for all specimens. 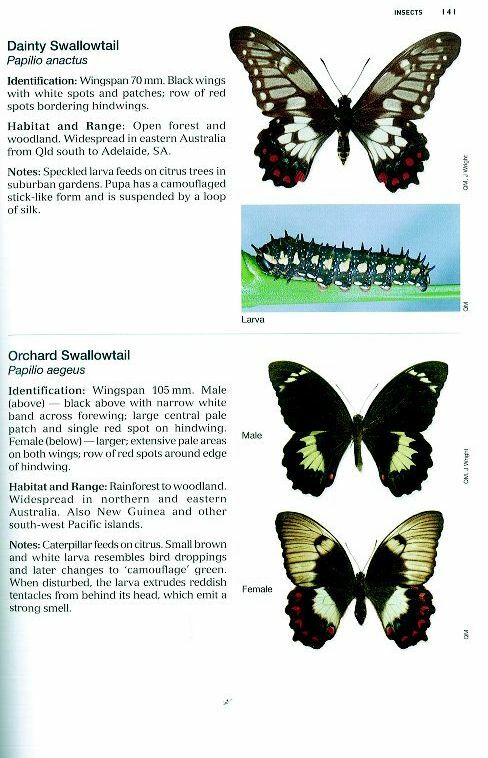 Wildlife of Greater Brisbane includes all the wildlife of Brisbane, not just the native species; so it is valuable for identifying introduced and pest species for environmental studies as well. 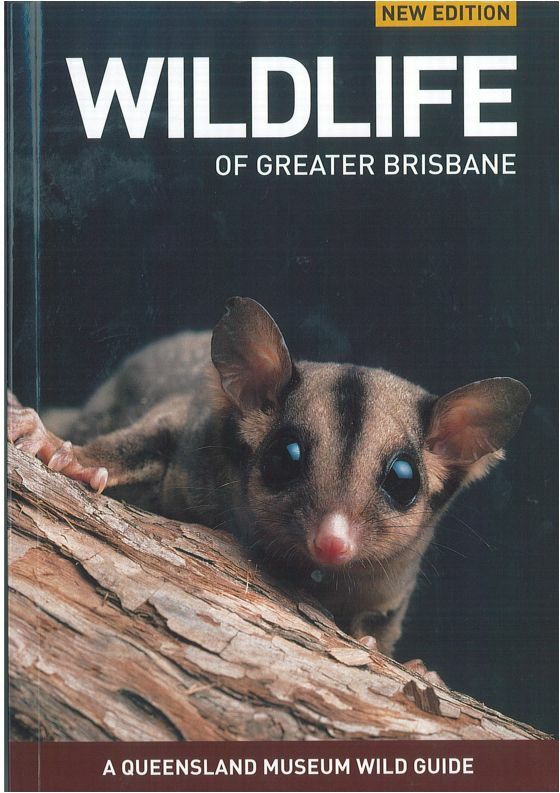 Wildlife of Greater Brisbane is available from the Explorer Shop at Queensland Museum and other good book retailers. 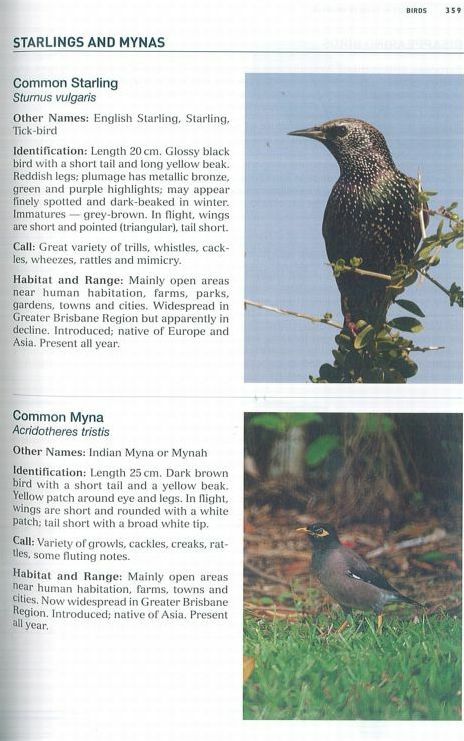 For more information on buying Wildlife of Greater Brisbane on-line, or any other Queensland Museum publication, this link should help. Queensland Museum is now home to a state-of-the-art, custom-made digital imaging system developed by world pioneer in cyber-taxonomy, Roy Larimer. 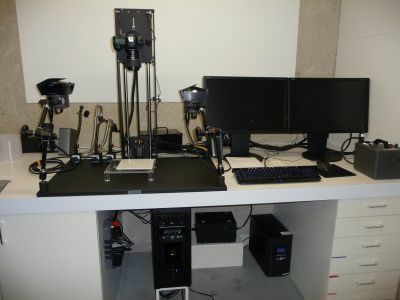 This tool provides the best and fastest technology for producing deep-focus images of insects and other small specimens. It is complemented by a Hasselblad medium-format camera which can take detailed images of whole drawers of material and larger specimens. Queensland Museum Collection Manager, scientific illustrator and photographer, Geoff Thompson, will use this new digital imaging system to provide much higher-quality images, faster than ever before. Visionary Digital systems are also used by the FBI and use computer technology developed for computer gamers. 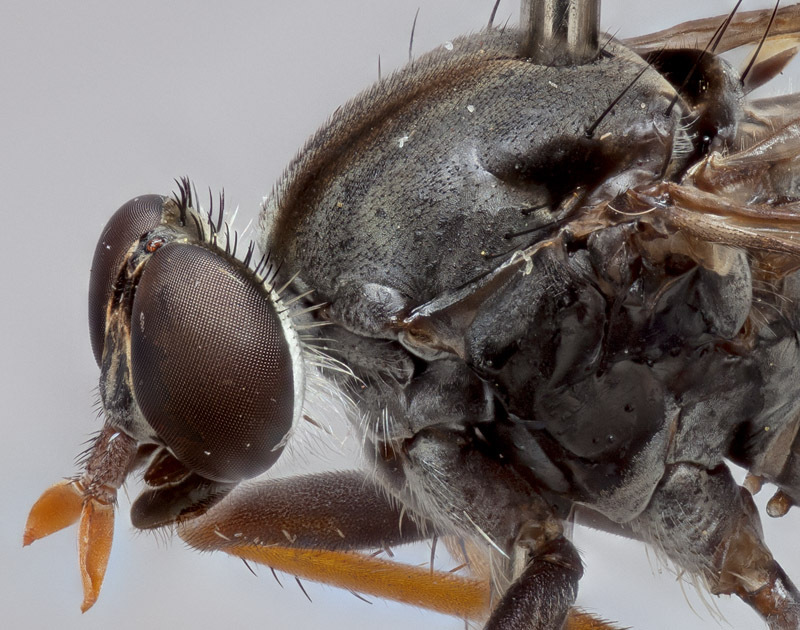 Queensland Museum’s system produces magnified images of tiny insects with incredible depth of focus. 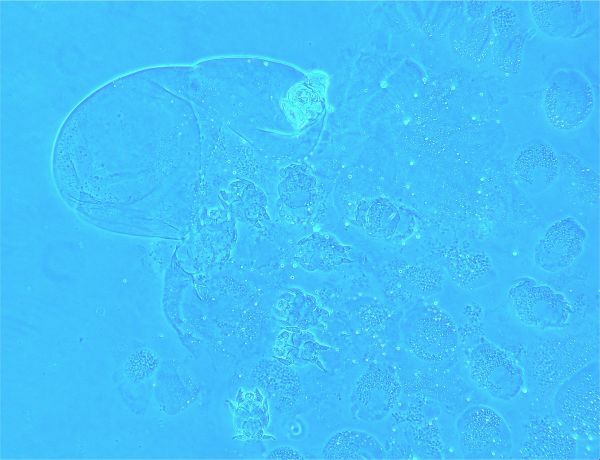 The photographs will show more details all at once than a scientist can see by looking down a microscope. e.g. tiny hairs on delicate insect wings. The project was made possible by a contract with the Atlas of Living Australia. This is a Federal Government project in partnership with museums and herbaria throughout Australia to improve access to biological data. Special Visionary Digital features developed specifically for the Queensland Museum include a 30 cm square light pad to give perfect backlighting of large specimens and new colour-balanced LED modelling lights, which allow video as well as still photography. The system uniquely combines fibre optic flash illumination with a computer-controlled lift carrying a camera, and a hand built super-fast computer enabling a series of photos to be taken from top to bottom of focus. These are then combined into one sharp photograph. Of course the images you see on this blog post have been compressed for upload. 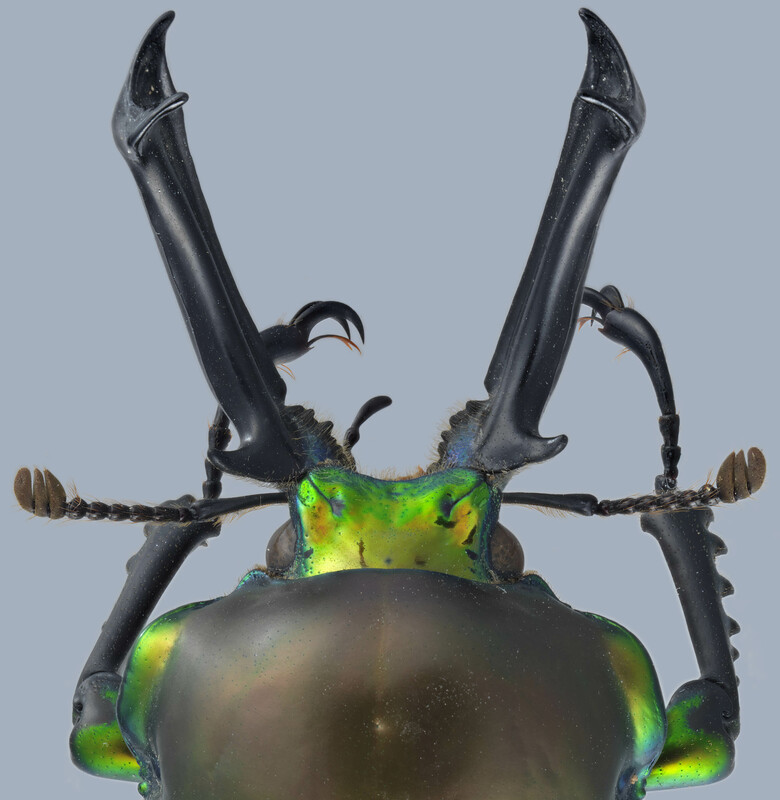 Queensland Museum Collection Manager and scientific illustrator and photographer, Geoff Thompson, used and studied Roy’s earlier systems during his 2005 Queensland-Smithsonian Fellowship in Washington DC. Geoff says that the new digital imaging system is an impressive tool that will provide higher-quality images. 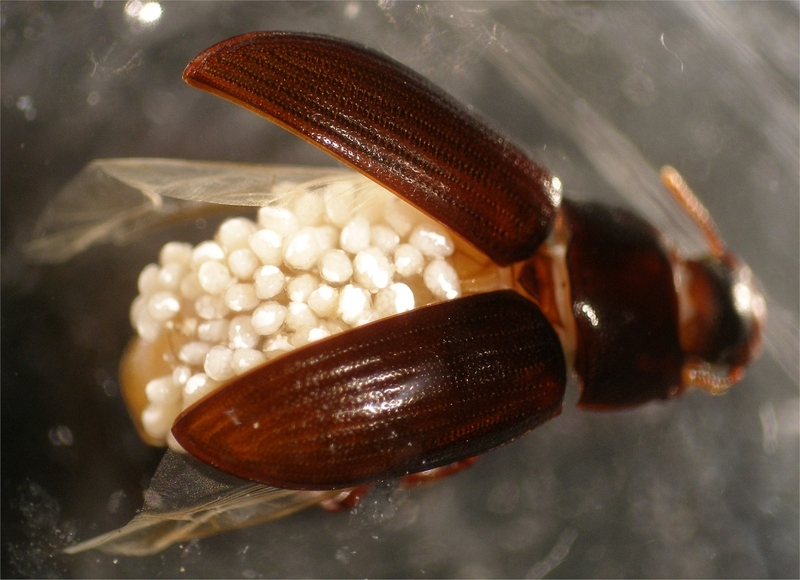 See the detailed images taken of the anterior end of the beetle below. 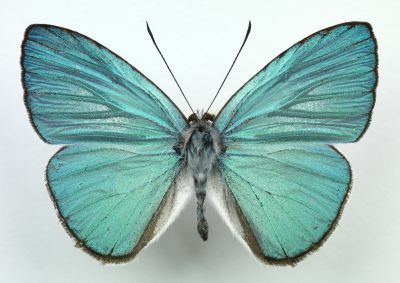 This technology enables Queensland Museum to share images of specimens with other scientists throughout the world. This assists the research community to better identify new species. View more zoomified images of the Native Cockroach and the King Stag Beetle. To learn more about the work that Geoff does, visit his Biography Page. Visit our QM website to see more amazing wildlife photography by searching in the Animals of Queensland section. 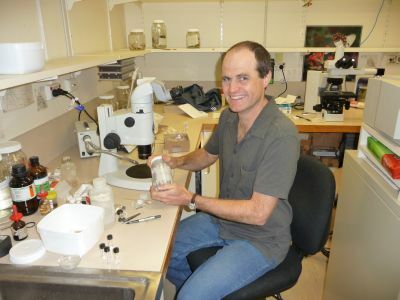 Patrick Couper is Curator of Reptiles and Amphibians at Queensland Museum and has an active interest in the taxonomy, ecology and conservation of Queensland’s diverse reptile fauna. Layered rocky areas are well-buffered from fire and provide cool, moist, stable conditions. These conditions are similar to those found in rainforests. The Australian continent was once blanketed with extensive rainforests but as conditions became increasingly arid, these forests contracted to smaller pockets like the remnants now found in coastal Queensland and NSW. 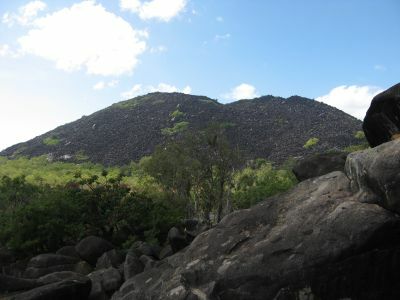 As the forests contacted so did their faunas and some rainforest animals retreated to, and survived in, rocky landscapes, many of which are now well isolated from modern rainforests. During this time, many species became extinct but others survived in these rocky landscapes and produced new species. Recent DNA studies show that many of these rock-dwellers have strong genetic ties to modern rainforest animals. 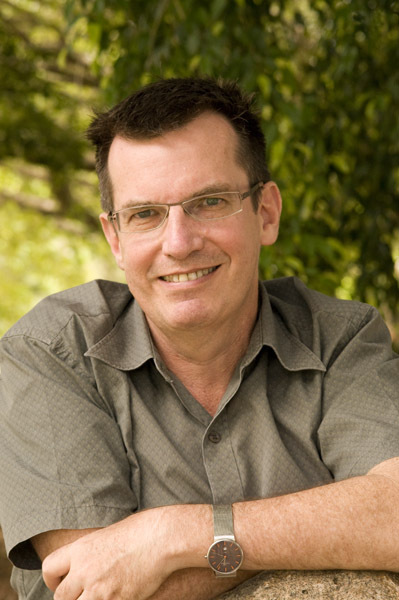 The lithorefugia story is important for understanding the evolutionary processes that shaped Australia’s rainforests and their associated faunas. There are many examples of rainforest animals that survived in rocky areas. 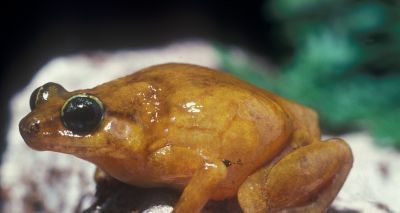 Rainforest snail, spiders, tail-less whip scorpions, and microhylid frogs, such as the Black Mountain Boulder Frog are some examples. There are even mammals that have undergone a shift from rainforest to rock. For instance, the Rock Ringtail Possum that is found in rocky parts of the Kimberley region (WA) and Arnhem Land (NT) has genetic and behavioural characteristics similar to the Green Ringtail Possum, a species now found only in the high altitude rainforests of NE Queensland. Species adapt to different conditions as habitats and climates change. To learn more about how climate change has affected the evolution of different animal groups, investigate the online learning resource, Dinosaurs, Climate Change and Biodiversity which contains many teacher and student resources. To learn more about the work that Patrick does, visit his Biography page. 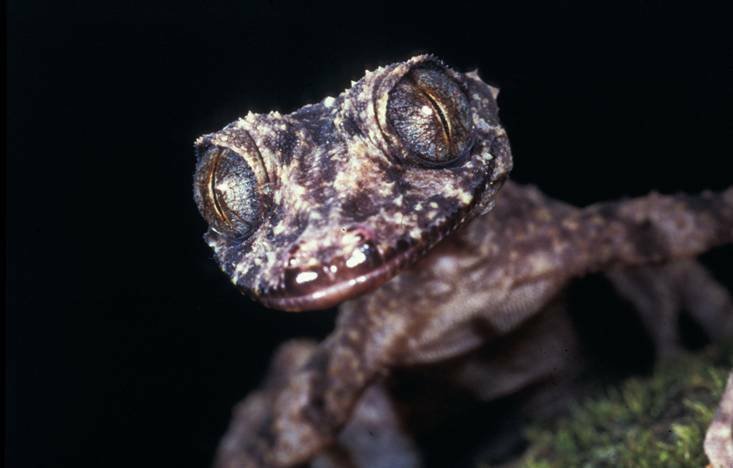 You can investigate leaf-tailed geckos and other amazing reptiles, by visiting the Reptile section on Queensland Museum’s website.